I love buying my daughters clothes that look really special. I know that well-designed, well-made clothes cost that bit more but something they are going to wear for months on end (longer if you go up a size! ), which can then be passed on to someone else, can be well worth the investment. 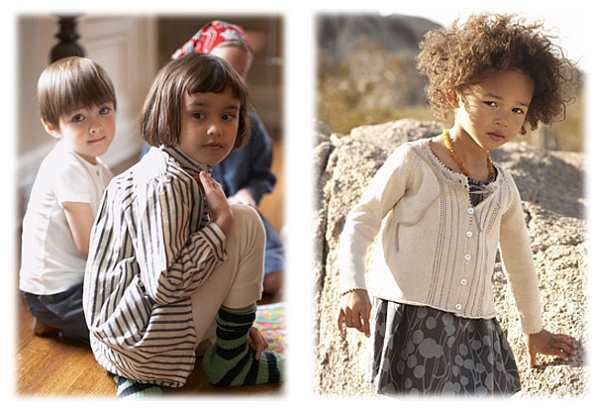 This delightful looking range of boys and girls clothing is by Californian based Dagmar Daley. The clothes are simply designed but stand out as different. When I first looked at these, they did remind me of the old-fashioned clothes from pictures when my parents were children. Then I read that Dagmar was inspired by imagery of childhood from simpler times. Hence the boys’ striped cotton dungarees and smart yet comfortable looking smock shirt. 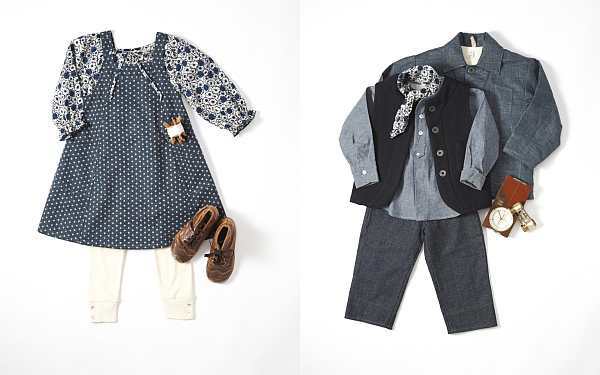 The girls’ clothing is just wonderful, simple stylish dresses in muted colours, soft cardigans with intricate detailing and linen peasant blouses that just look so, well, practical. These clothes will be at home whatever your child gets up to, from running around in the park to a special occasion, plus they look like they’re made to last. 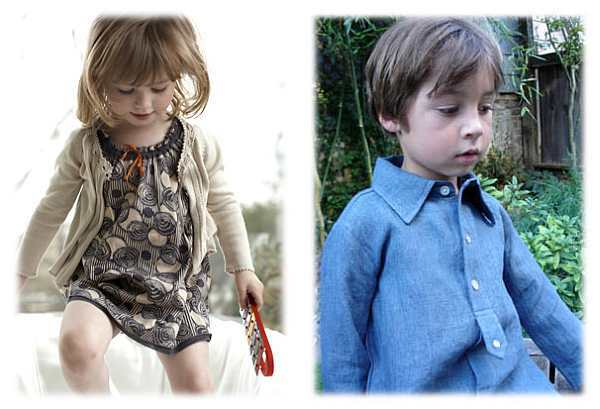 Dagmar Daley has a great online shop, with skirts starting at US$24, boys’ shirts at US$30 and dresses at around US$70. Shipping to Australia is available, or local stockists Manon et Gwenaelle carry some of the range in their Sydney store. The pictures below are a sneak Babyology preview of Dagmar’s Fall collection.